I came across a couple of very pretty Indie Polishes when I was searching through my closet for Christmas stuff. The first one is from Contrary Polish in the color of “Green House”. 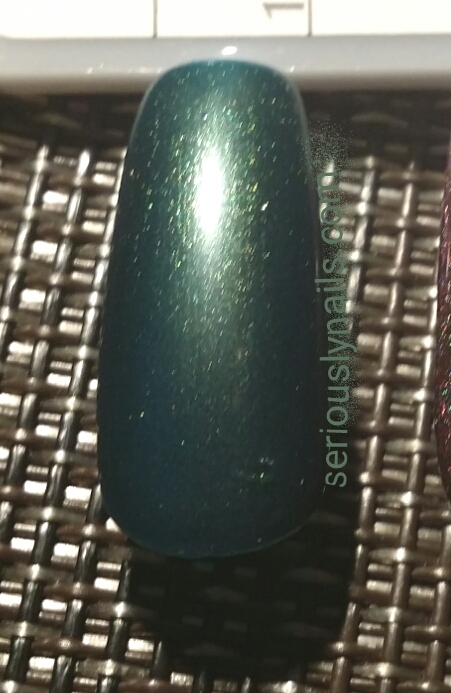 It is a pretty deep green with a hint of blue in it as well as the lightest of gold holo flakes in it. Good coverage and a nice brush. 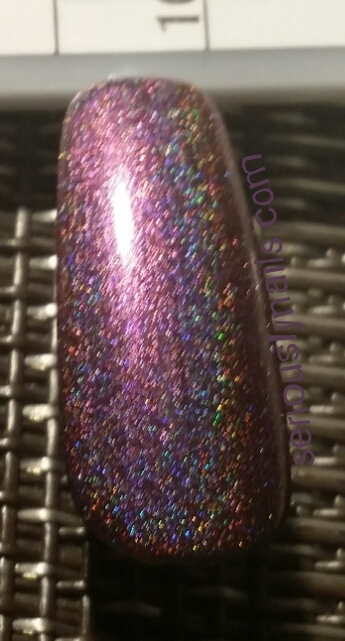 I had done these swatches on a nail tip palette where I had also swatched a pretty silver from OPI! I decided to see if I could pull of a quick design! I added dots of different sizes in both the above colors and swished it back and forth with a dotting tool! Here is my end result! Kind of fun. Have a awesome day! 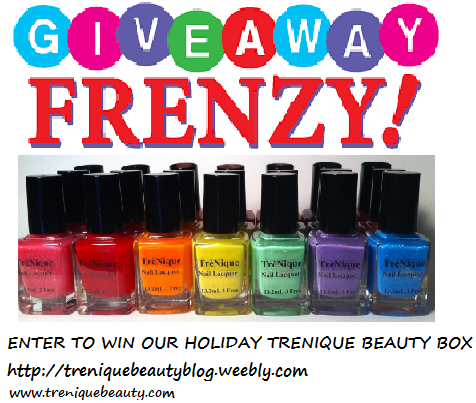 TreNique is a Indie Polish company based out of Florida. The product line includes body butters and scrubs, a fabulous cuticle oil with Lavender and Tea Tree Oil in it, plus a fun and feisty lacquer color selection. Well, they are doing a give away! 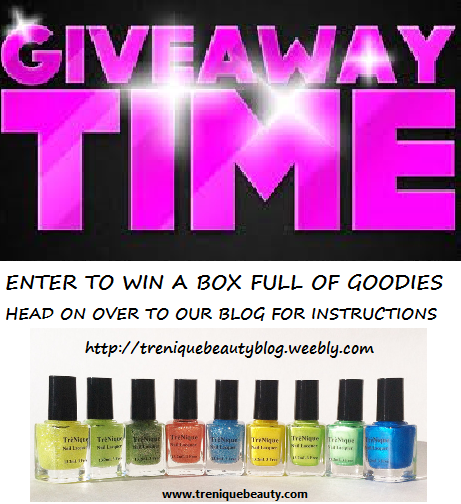 Go to http://treniquebeautyblog.weebly.com/ to enter the give away. Ohhh that cuticle oil is perfect for super dry cuticles!!!! TreNique Beauty Boxes now available! 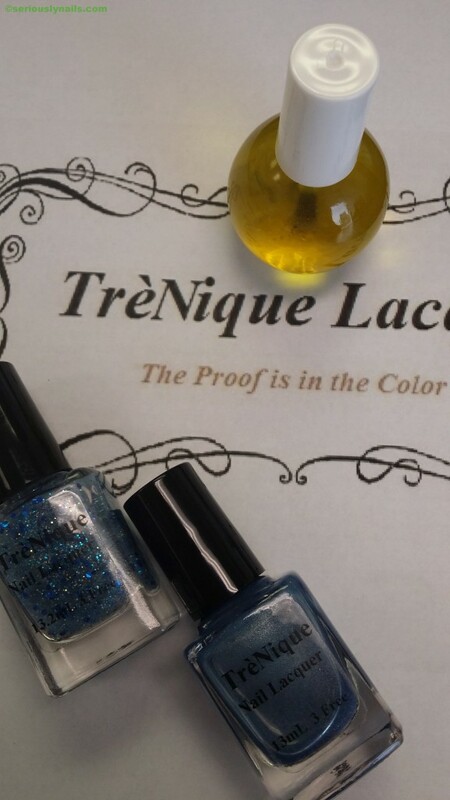 TreNique Beauty is a Florida based Indy polish company that has both nail lacquer and body scrubs and lotions, as well as my favorite Tea Tree and Lavender cuticle oil! The smart gal at TreNique decided to give us the option of joining the subscription club to enjoy their fine products! 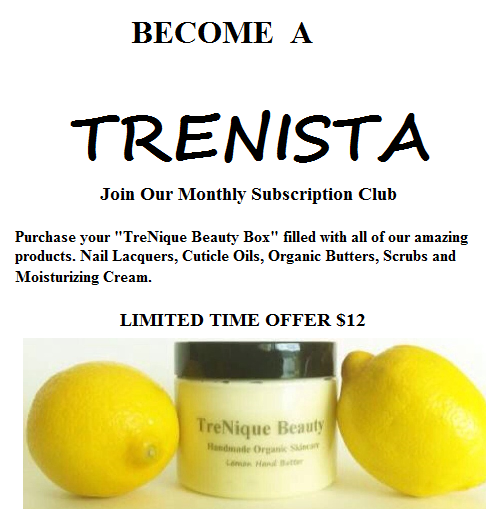 3 free nail polish and organic natural skin care (scrubs and butter) are included in the Trenista subscription box. 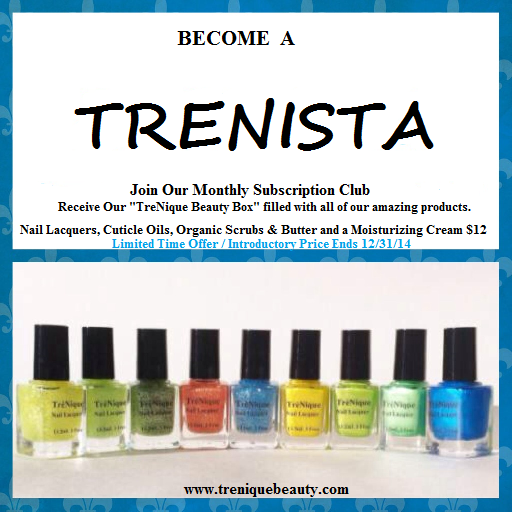 The subscription box itself consists of 4 items, a nail lacquer, a scrub, butter & cuticle oil of your choice. The cost is $12 until December and the estimated retail value is $19! Puppies and kids with polish! Who doesn’t love them? Suncoat, a make-up and nail polish brand out of Canada, has water based polish using natural mineral pigments and natural colorants without F.D & C dyes. 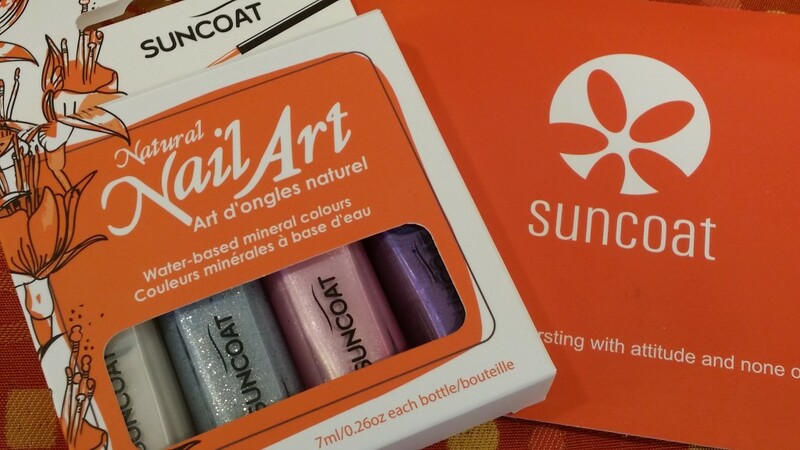 And with a very well thought out line of kids polish and DYI kits for youngster, Suncoat is filling a gap for folks who want a kid friendlier version of traditional nail polish. 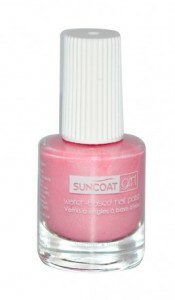 Suncoat Girls is a water-based nail polish for children. It is a peel off formula and one the most natural nail polish ever! They have these adorable kits for kids that can include polish, mineral based eye shadow and lip gloss. Plus a cute sheet of decals! Suncoatgirl is also available in single bottles featuring wonderful colors such as Ballerina Beauty! The bonus of all this? Suncoat © is against animal testing! 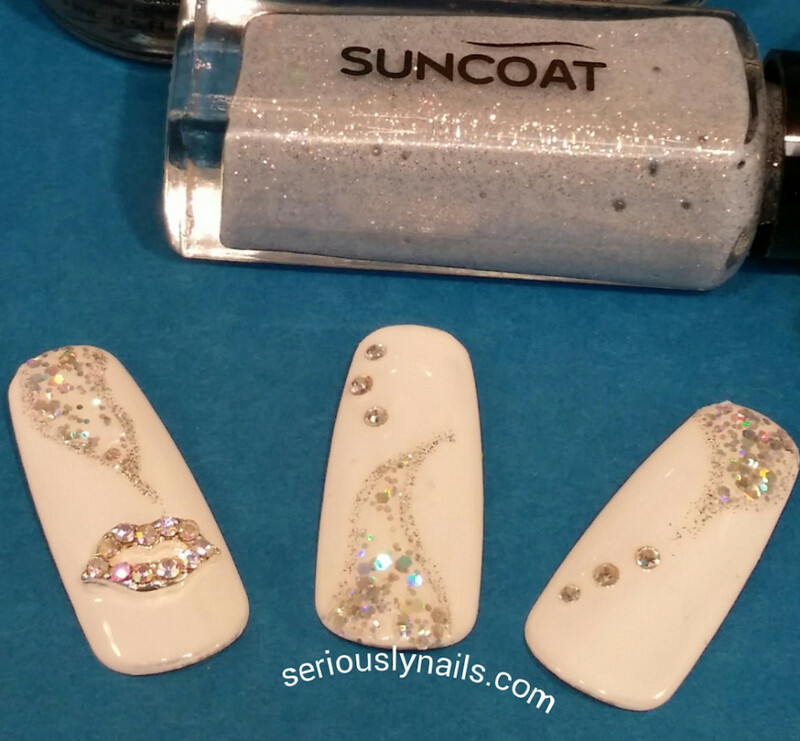 Suncoat, a nail polish brand out of Canada, is water based polish using natural mineral pigments and natural colorants without F.D & C dyes. For folks with allergies or sensitivities to chemicals, Suncoat offers a solution for those who love to wear polish, and might have problems wearing traditional ones. They also have a Nail Art Kit that they graciously sent me so I could do some nail art and a review of the product. 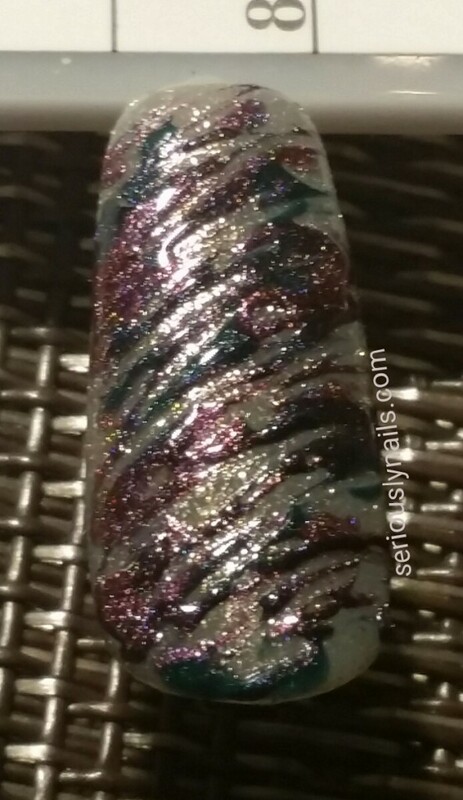 I did this nail art using Suncoat Nail Art Kit stripping polish/brush in the silver opal essence tone along side some other colors. I wanted to let you know a couple of things. 1)I love the brush and how thin it it. It is also long enough to do graceful curves like you can see in the lines that I created. 2) Secondly, there is no smell from these bottles. I couldn’t detect any odor at all. Nice! I look forward to using them again very soon for more nail art, so stay tuned for that. And one more thing, Suncoat © is against animal testing! Moxie Reviews is a blog site that posts reviews for cruelty free products. 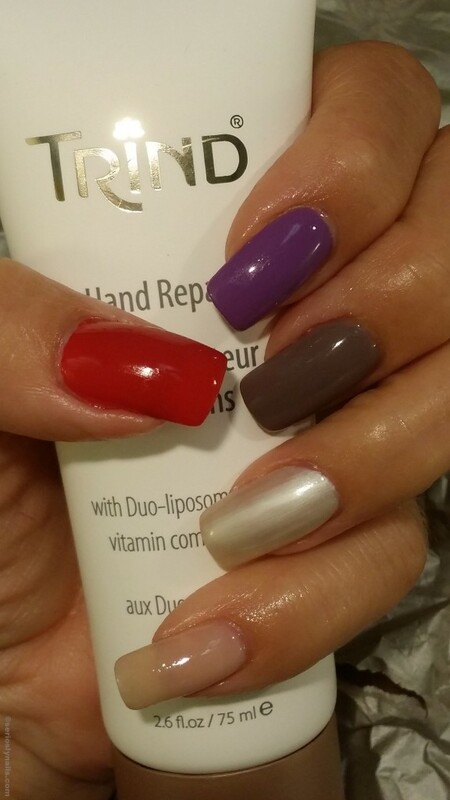 Trind, Natural Nail Care company offers just over 50 nail lacquer colors for your perfect manicures. A small sample of Trind’s pretty color selections. 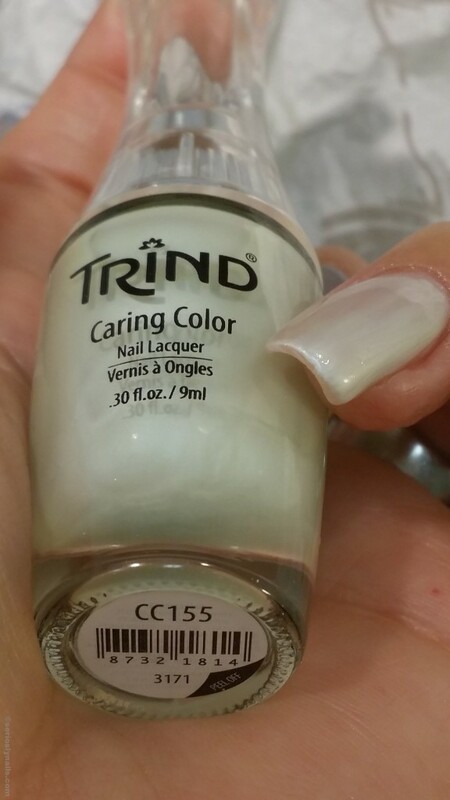 The TRIND Caring Color nail polishes are more than just decorative. We have added special ingredients, which naturally adhere to the nail surface and improve the condition of the nails. You will benefit from stronger, faster growing nails. 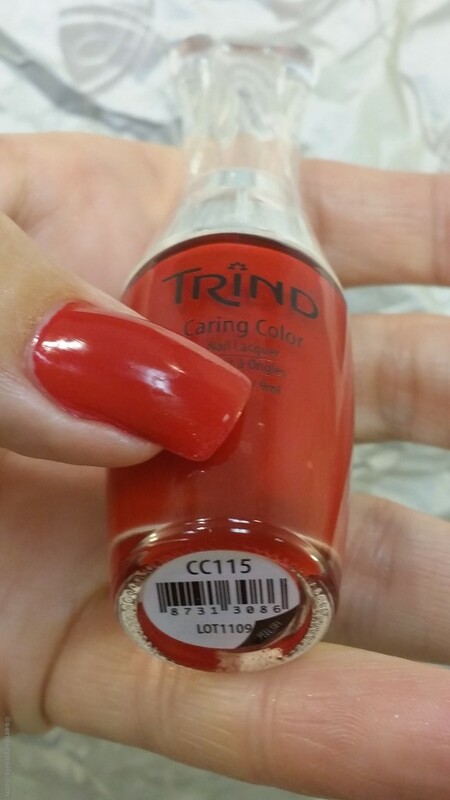 First thing I noticed about Trind nail lacquers is the gorgeous bottles! I don’t remember seeing anything quite so classy and pretty in regards to polish packaging! And besides the wonderful natural nail care system they offer, the company also gives us a nice selection of nail lacquers. I am showing just 5 of the them. I went from a simple “french” color to a classic red color! Two things that I would like to mention. Besides the bottles being beautiful, the extra long handle on the lid of the bottle actually helps you with stability when polishing. LOVE that! And, secondly, the pigmentation was very good in all the lacquers I tried. All of these swatches are with a base coat, top coat and 2 coats of color! 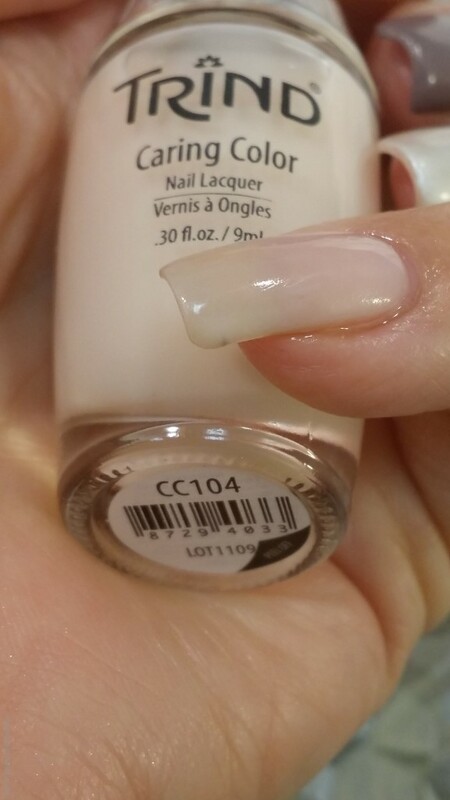 CC104 Classic french base color. Not too pink and not too yellow. CC155 A opal essence green tinged shimmer. I like this one a lot because it’s kind of retro! 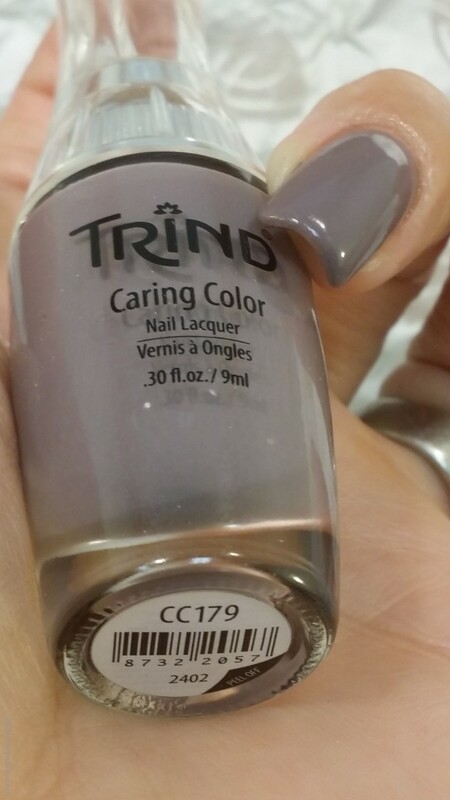 CC179 The perfect mauve cream. Also a great “nuetral” for nail art! 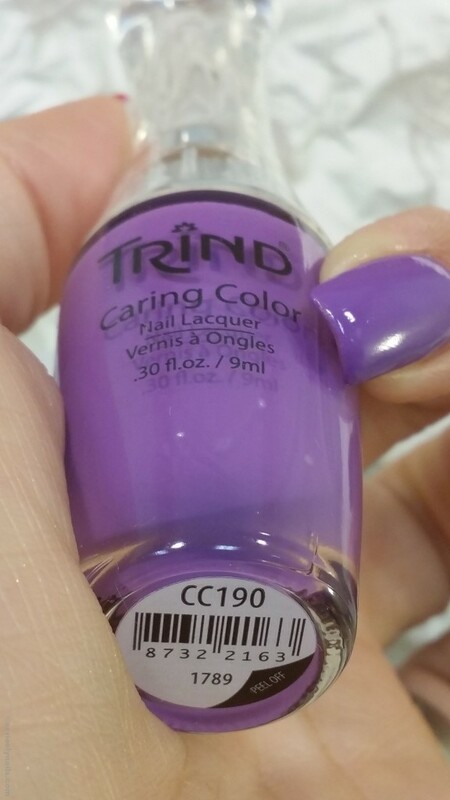 CC190 VIBRANT purple cream. Great spring/summer color. CC115 The classic cream red. So beautiful.